One’s social status can determine a lot about one’s bones. It is quite easy to see in modern populations the differences in health based on wealth and access. Wealthier individuals are thinner, have access to more fruits and vegetables, and are able to afford customized gym memberships. Poorer communities on the other hand are at a higher risk for disease, eat more fast food, and can’t afford either time or money to go to gyms. This wasn’t always the pattern though. In many past societies, wealthier individuals were larger, had more health problems related to obesity, and were defined by their access to meat. In contrast, the poor ate more vegetables, were physically more active, but still were at a higher risk for disease. Using stable isotope analysis, we can look at dietary differences within a society, and relate them to differences in social status. A study by Privat, Connell and Richards (2002) examines an early Anglo-Saxon population’s human and animal remains in order to determine diet. His goal is to not only characterize the diet of the burial community as a whole but to find patterns within sub-groups as well that wil correspond to social structure. 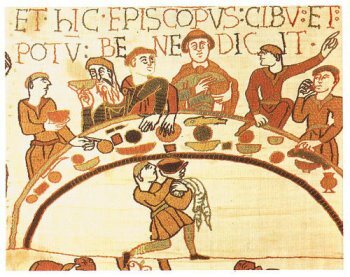 Little is known about this period between the end of the Roman Empire in Britain (410 CE) to the rise of the Christian Anglo-Saxon kingdoms (7th century CE), especially regarding the daily life of the people. By using stable isotope analysis of carbon and nitrogen ratios, Privat, Connell and Richards (2002) argue we can begin to learn more about the diet and the daily life of the different groups in the community. The site under investigation includes 114 individuals from the site of Berinsfield in southern England. The cemetery was dated to the mid-5th to late 6th/early 7th century using artifacts with known chronological dates. Prior research at the cemetery has identified distinctive gendered assemblages of artifacts, lifecourse age groups, and potential household groups within the community. Privat, Connell and Richards (2002) goal is to explore the variation in diet in these different groups that have been identified. Carbon isotope ratio is a reflection of consumption of marine versus terrestrial food sources, and nitrogen can be used to determine one’s position in the food chain, basically a reflection of protein consumption. Texts and artifacts show a difference in males and females, though they each had access to fairly high levels of power and control, three distinct age groups, and economic and residential household groups that were the basis of the social structure. Also from texts and artifacts we can begin to determine diet and patterns in access to food. Overall the community had a number of wild and domesticated plants, including cereals, legumes, nuts, fruits and vegetables. Meat was primarily obtained from domesticated cattle, but other sources included domesticated pigs, sheep, goats, and fowl, as well as wild boar, birds and deer. Secondary animal products such as milk, cheese, and butter were also consumed. It is unknown from these sources of evidence if aquatic resources were exploited. Food is often a major source of social differentiation with access to certain types varying by rank. However, it could be variation by quality of food rather than type, which wouldn’t be evident from stable isotope analysis. Samples for stable isotope analysis were taken from 93 humans, 1 pig, 1 dog, 2 ovicaprids (sheep/goat), 3 foxes, 3 horses and 3 cows from the Berinsfield site. Overall, based on carbon ratios, the community had a diet based almost entirely upon temperate terrestrial C3 and possibly freshwater resources, with no consumption of saltwater marine resources. The variation in nitrogen was more pronounced, showing variation between low consumption of herbivores to high consumption of omnivores. Nitrogen values are highest among infants, and it decreases with age. The changes in diet with age are more pronounced in older males than females, although overall there was no major difference between the sexes. Wealth was determined by the burial of the individuals. Graves were classified by the number of artifacts found into three ranked groups: poor, intermediate and wealthy. There was no strong difference between the wealthier two groups, but the poorest group had the highest ratio of nitrogen isotopes. This suggests that the poor consumed a greater proportion of aquatic food or omnivore protein. This also suggests that the wealthier consumed more herbivore meat and dairy products, which requires time and resources to get. The site was also divided into household groups, and it is thought that households would have more similar diets within group than between. The isotopic evidence does not support this claim. Based on this analysis, Privat, Connell and Richards (2002) draw a number of conclusions. First, the consumption of meat was not a privilege, but rather normal for the entire community. Second, wealthy individuals consumed more domesticated meats and animal byproducts than poor individuals. Third, while males and females are strongly differentiated in artifacts they had similar diet. However, male diet did change with age, with individuals in their 20′s to 30′s having a diet more reflective of wealthy than those older and younger. Female diet didn’t have any pronounced changes. This study is interesting and beneficial because it combines isotopic data with archaeological and textual evidence to create a more nuanced interpretation of Anglo-Saxon society.